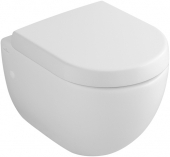 The toilet is hardly the most exciting or glamorous part of the bathroom, but where would we be without it? This piece of kit is indispensable, compared to the choice between bath and shower and the various sizes of hand basin. The next time that you renovate or just want a comfort upgrade, spend a little more money and attention on the toilet. Remember that the loo is central to the room’s aesthetic. This is doubly true in a guest toilet, which is usually in a smaller room. For those with enough in the budget, another option is to pair the loo with a bidet. These are uncommon in some countries and are not to be confused with another bowl, but rather act like an extra sink or small bath, providing extra personal hygiene after using the loo. Where space is lacking for a bidet, a faucet can also be attached to some toilets. These luxurious new additions don’t necessarily have to take over the renovation, either, if you budget in advance. Shop around online and you’ll soon find some discount brands that offer modern designs. You’ll soon encounter a variety of loo types when browsing around. They can vary considerably in shape and features. Take some time to do research before settling on a model, to avoid costly returns. Consider these features to help you decide. Stand-toilets. Most models are supported by a stand or column that attaches to the floor. This is the most common type and easy to install. Wall-hung or hanging toilets. These are supported by brackets in the wall, in a similar fashion to a sink. They’re very minimal and stylish, but check how much weight they can support. Toilet seat. Don’t forget to pick a model that either has a nice seat or fixtures to upgrade it, as this is the first thing you see and impacts comfort the most. Height. Some people prefer a taller model that’s easier to sit on and stand up from, especially those with mobility issues, but this may not be suitable for children. Shape. Square bowls, oval bowls, round bowls and compact shapes appeal to different designs, but consider how comfortable you’ll be. 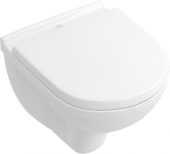 These basic features should give you the inspiration to find your ideal loo. Remember to measure up first and consider the logistics of your plumbing. The next step is to have a look at some top brands and see which provides the type you want in a style that suits your design dreams. 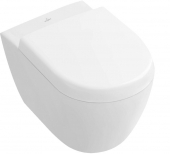 Remember that you don’t need to buy a cheap loo from a local store; there are some great options on the internet for affordable units that have designer style and modern functionality. With the loo being the focal point of the bathroom, it’s worth investing in a quality brand that suits the design scheme that you want. Remember to match it with other fixtures, like the bath. 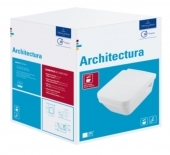 There are several brands who cater to decorators, with Villeroy & Boch, Ideal Standard and Duravit representing a great starting point for your research. 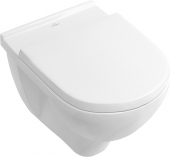 Villeroy & Boch have a range of units in both simple and designer forms, to suit different budgets. 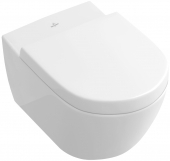 The Villeroy & Boch Subway 2.0 range includes some smart, wall mounted bowls with their trademarked Aquareduct flush consumption, plus soft-closing toilet seats which are typical of the extra touches of comfort that Villeroy & Boch use. 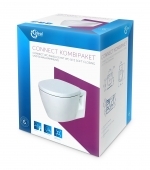 Consider Ideal Standard’s ceramic sanitary ware in the Connect Freedom range, with elegant, round, standing bowls. 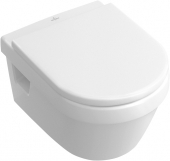 Ideal Standard’s Kimera toilet seat is a great addition too, with a curved and sleek shape. The above brands also produce some excellent bidets, or try Duravit’s D-Code model for a compact option in smaller bathrooms. 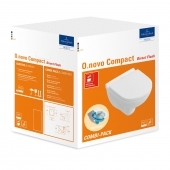 Duravit also have the 2nd Floor range of square, standing models with a tap platform. Take a look at Keramag’s Courreges range if you fancy a compact loo with chrome hinges, or Keramag Artis for a truly different black bowl. 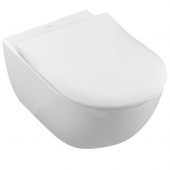 Finally, consider Laufen Case for inexpensive seats and Laufen Palomba for curvy, modern bowls. Whichever toilet you opt for in your brand new design, remember to choose wisely as you’ll be using that loo daily for years to come!